Dr. Alexis Fillone of the Transportation Engineering Division, Civil Eng. 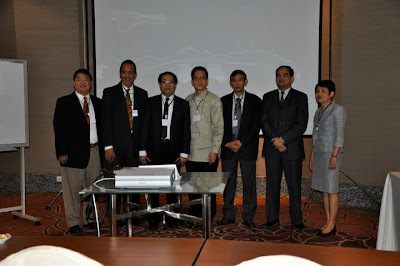 Dept., DLSU-Manila was a speaker of the pre-event of the Better Air Quality Conference last November 8-11, 2010, in Singapore. Dr. Fillone talked about the The Estimation Of Co-Benefit From Bus Global Rapid Transit (BRT) Introduction In Metro Manila Using Instittue For Global Environmental Strategies (IGES) Co-Benefit Guideline. Together with his co-authors (Prof. Dr. Atsushi Fukuda, Dr. Tetsuhiro Ishizaka, and Mr. Hidenori Ikeshita) from Nihon University-Japan, they also submitted the same paper as poster presentation in the Conference proper. Simply put, the Co-Benefit approach expands its coverage of cost-benefit estimation of a transport project by considering the environmental costs (i.e., air and noise pollutions) and traffic accident costs. While in public transportation, there is a growing consensus around the Asian region for developing countries to introduce the much cheaper BRT compared to the LRT, MRT or subway systems. Hence the paper used the proposed IGES co-benefit guideline to measure the impact of a proposed BRT line in Metro Manila. 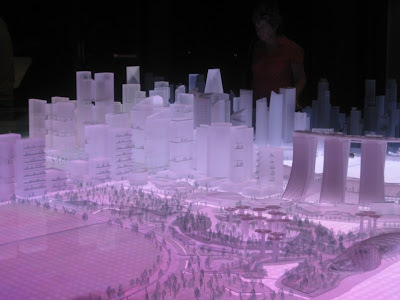 Dr. Fillone also had a chance to go around Singapore and marvelled at the efficient public transport system of the City State as well as the way the city is being planned. Dr. Andres Oreta and Dr. Renan Tanhieco presented papers in the Special Session on Safe Schools and Hospitals organized by the United Nations International Strategy for Disaster Reduction (UNISDR) during the 3rd Asia Conference on Earthquake Engineering (ACEE) which was held on Dec. 1-3, 2010 at Bangkok, Thailand. Dr. Oreta presented the paper on "One Million Safe Schools and Hospitals Campaign: Promoting Awareness, Preparedness and Risk Reduction", while Dr. Tanhueco will talked about "Assessment and Mitigation Planning for Safe Schools and Hospitals.". Dr. Oreta and Dr. Tanhueco prepared documents for the campaign. 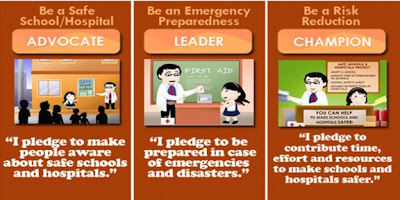 The documents are (a) Advocacy Guide, (b) Guidance Notes: School Emergency and Disaster Preparedness, (c) Guidance Notes: Emergency and Disaster Preparedness for Health Facilities, and (d) Guidance Notes: Assessment and Mitigation Planning for Risk Reduction. These documents can be downloaded at the campaign website information materials page. The campaign website was also designed by a team of DLSU faculty and students. 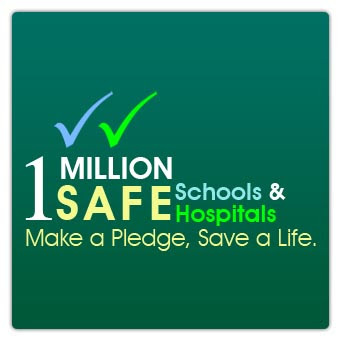 Improve the risk reduction capacity of all stakeholders of schools, hospitals and health facilities. Visit the campaign website and pledge now. 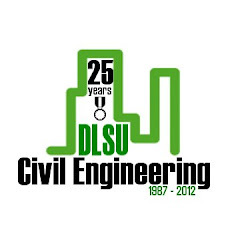 The Civil Engineering Department Laboratories at Miguel Building have a new look. Last Sept 2010, the laboratories were renovated. The rooms for the lab coordinators and faculty were redesigned. You will now find the research office rooms for the various specialization faculty members in CTM, HWR, GTE and TRE. The survey equipment room was relocated. The HWR and GTE laboratories are housed in one big room but can be partitioned into two by a sliding divider. Multimedia equipment have been installed in the labs. Third year BSCE students can now perform laboratory experiments in the new course on Theory of Structures Laboratory. 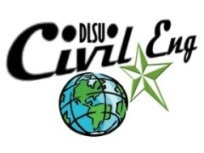 The course was introduced when the curriculum was revised three years ago in compliance with a CHED directive. 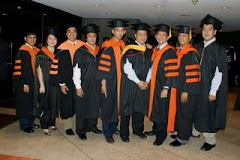 The Theory of Structures Laboratory was offered this 2nd term SY 2010-2011 under Dr. Andres Oreta. The students perfom computational work at the Structural Engineering Instructional Laboratory at V512 and perform the experiments at the adjacent V513 room. So far, the students performed experiments on finding the relationships between Moment and Load, Shear Force and Load, Deflection and Load. Experiments on the effect of a moving load on moment and shear force and the use of influence lines were also performed. 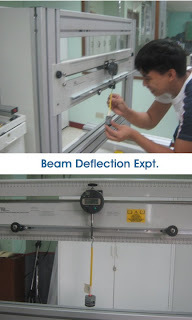 Deflections of beams due to various parameters such as length, material and support conditions were also performed. Analysis of a roof truss and a portal frame will also be conducted. The laboratory course complements the lecture class on the Theory of Structures. By conducting the experiments, the students observed the behavior of simple structural elements and verify the theory. They also learn how to analyze experimental data and apply data analysis tools such a regresssion analysis and curve fitting. They prepare laboratory reports using computer-based tools like Microsoft Word, Excel and graphic software. They also improve their teamwork since the experiments are conducted in groups. Over-all, the course enhances the teaching and learning process in understanding concepts in structural analysis.